Let’s share insight and practical ideas. Let’s blend fun with function, and let’s FIND NEW WAYS TO MOTIVATE CHILDREN TO DO THEIR BEST IN SCHOOL! USE PUPPET POWER – PEPPI’S CHEER STARTS THE DAY! Peppi cheers on kids to take responsibility for learning. Why do teachers need to “set the stage” for learning? I think it’s because kids today face so many challenges and demands in a distracted world. Many children begin their school days hungry – literally hungry. Enter Peppi, (shown in my blog pic above) an adorable puppy puppet to use as your class cheerleader. Peppi cost all of $1.00 (US). Got to love those dollar stores! I named the puppet Peppi because the root word (in English) is pep, as in pep rally. Any puppet can be a class cheerleader. Use one you have or buy one and name it to suit your culture. 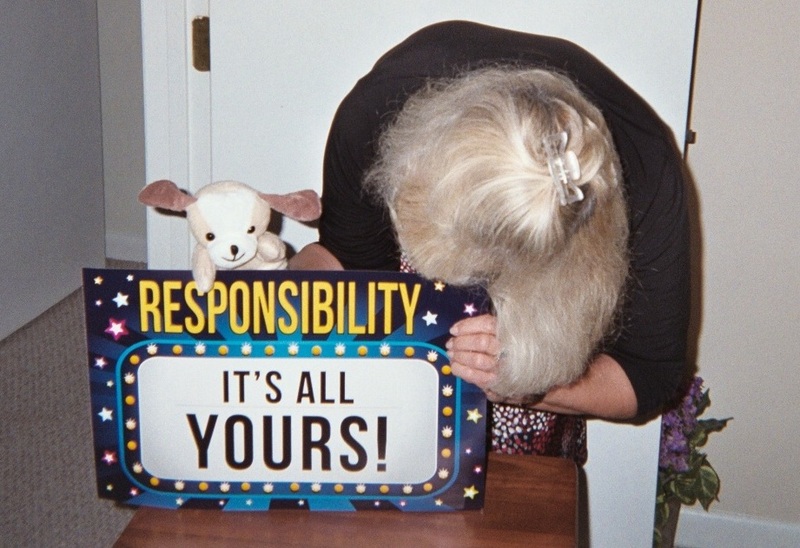 As you can see, Peppi’s “stage” is a pre-printed poster that reads in capital letters: RESPONSIBILITY – IT’S ALL YOURS! Sets of motivational posters, like this one, are available in some dollar stores, in teacher supply stores and online. announce to the class that it’s time for Peppi’s cheer. T: Okay kids, it’s time to cheer for your responsibility in school. WHO? S: TO DO MY BEST, BE SMART! T&S in unison: LET’S START! 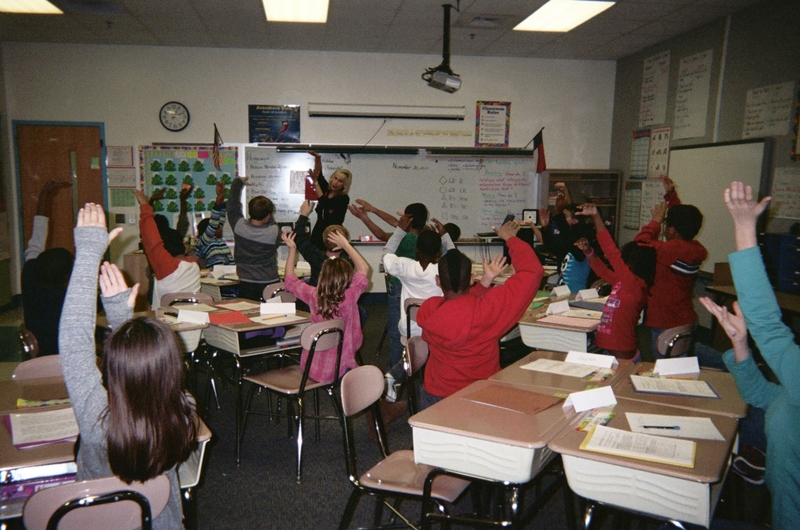 When you start the day with a motivational cheer like Peppi’s, it’s as if you’re saying to each student, “Please know that you’re a special part of my team.” You’re telling kids in a positive way that, no matter how they may have felt when they first got to class today, it’s time now to take responsibility to listen and learn. A word about age-appropriateness for the use of puppets in teaching…there’s no question that puppets appeal to young children. If you’ve every used puppets yourself or viewed children watching a puppet show, you know that to be true. Olympic mascots, like this little bear, are part of the summer games. 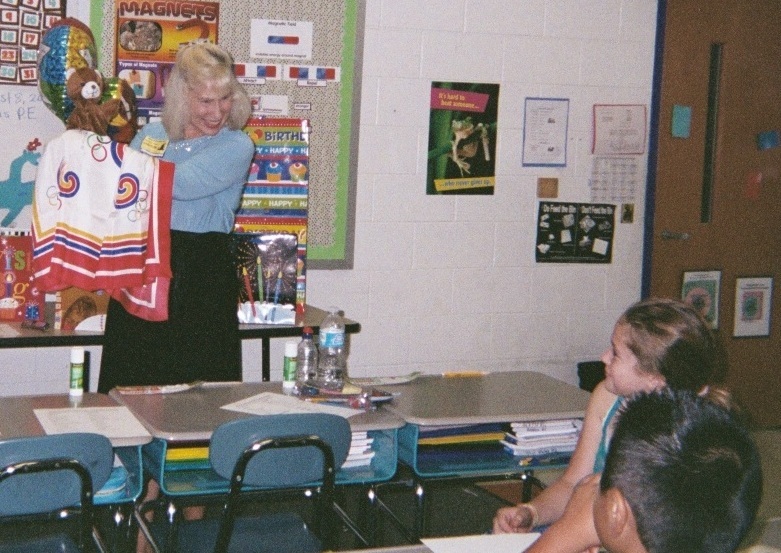 What surprised me recently was the interest fourth graders showed when I used a bear puppet (shown in my blog pic here) to talk about animal mascots in the summer Olympic games. I was prepared to “ditch” the puppet if the students seemed offended in any way. To the contrary, they wanted me to bring the puppet behind its Olympic scarf around the room and talk with it! Please let me know if puppets help you motivate students. STIR THE SLEEPYHEADS – PLAY SHAKE ‘EM TO WAKE ‘EM! but it’s also effective at the start of a school day. Begin this “trick” by standing in front of your seated class. Raise your arms high above your head. No matter the weather, no matter students’ moods, using creative motivational tricks is a smart start for a productive school day. ‹ A Labor of Love!